Welcome to Front4! We take Front Wheel Drive, Naturally Aspirated, 4-cylinder powered cars, and build them to a similar power & torque vs weight, for the purpose of time attacks and wheel-to-wheel racing. Why Front Wheel Drive? It’s cost-effective, unique in both car setup and driving technique, and there are many fun cars to choose from! We enjoy disproving FWD myths and showing what these cars are capable of on the track, with the right setup and good driving. 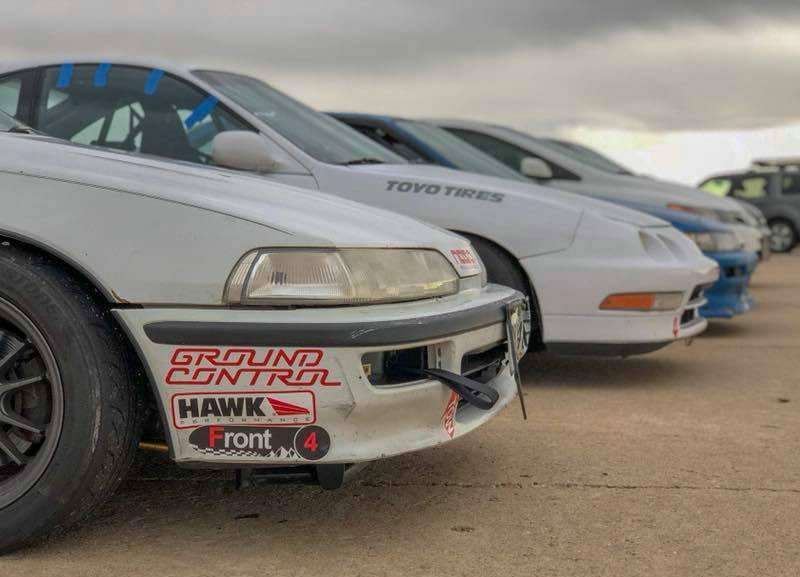 Many of us have also owned and raced a variety of RWD cars, but Front4 is a different kind of challenge and it’s even more rewarding to post fast lap times when you’re perceived as an underdog. Just how fast is Front4? Our goal is to run similar lap times to the top of Spec Miata, at a fraction of the cost, and on cheaper longer-lasting tires. In our very first season (2018), we found that we had reached that goal, and felt that we could still get even more out of our cars and drivers. Visit our Facebook group to get in touch with us and talk with other members.